Isaac Watts was an English Christian minister (Congregational), hymn writer, theologian, and logician. He was a prolific and popular hymn writer and is credited with some 750 hymns. He is recognized as the "Godfather of English Hymnody"; many of his hymns remain in use today and have been translated into numerous languages. Psalm 90 is the 90th psalm from the Book of Psalms. In the Greek Septuagint version of the bible, and in its Latin translation in the Vulgate, this psalm is Psalm 89 in a slightly different numbering system. Unique among the Psalms, it is attributed to Moses, thus making it the first Psalm to be written chronologically. The Psalm is well known for its reference to human life expectancy being 70 or 80, although the Psalm's attributed author, Moses, lived to 120 years, according to Biblical tradition. A hymn tune is the melody of a musical composition to which a hymn text is sung. Musically speaking, a hymn is generally understood to have four-part harmony, a fast harmonic rhythm, and no refrain or chorus. Common metre or common measure—abbreviated as C. M. or CM—is a poetic metre consisting of four lines which alternate between iambic tetrameter and iambic trimeter, with each foot consisting of an unstressed syllable followed by a stressed syllable. The metre is denoted by the syllable count of each line, i.e. 8.6.8.6, 86.86, or 86 86, depending on style, or by its shorthand abbreviation "CM". 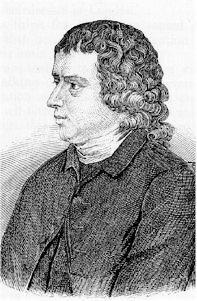 William Croft was an English composer and organist. Sir Arthur Seymour Sullivan MVO was an English composer. He is best known for 14 operatic collaborations with the dramatist W. S. Gilbert, including H.M.S. Pinafore, The Pirates of Penzance and The Mikado. His works include 24 operas, 11 major orchestral works, ten choral works and oratorios, two ballets, incidental music to several plays, and numerous church pieces, songs, and piano and chamber pieces. His hymns and songs include "Onward, Christian Soldiers" and "The Lost Chord". 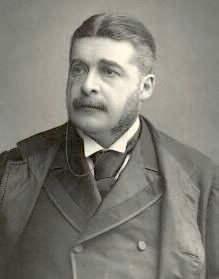 The Festival Te Deum is the popular name for an 1872 composition by Arthur Sullivan, written to celebrate the recovery of Albert Edward, Prince of Wales from typhoid fever. The prince's father, Prince Albert, had died of typhoid fever in 1861, and so the prince's recovery was especial cause for celebration. Charles Sprague "Carl" Ruggles was an American composer. He wrote finely crafted pieces using "dissonant counterpoint", a term coined by Charles Seeger to describe Ruggles' music. His method of atonal counterpoint was based on a non-serial technique of avoiding repeating a pitch class until a generally fixed number such as eight pitch classes intervened. He wrote painstakingly slowly so his output is quite small. The hymn tune is employed prominently in John Addison's Academy Award-winning score for the 1963 movie Tom Jones . The Finlandia hymn refers to a serene hymn-like section of the patriotic symphonic poem Finlandia, written in 1899 and 1900 by the Finnish composer Jean Sibelius. It was later re-worked by the composer into a stand-alone piece. Love Divine, All Loves Excelling is a Christian hymn by Charles Wesley with a theme of "Christian perfection." Judging by general repute, it is among Wesley's finest: "justly famous and beloved, better known than almost any other hymn of Charles Wesley." Judging by its distribution, it is also among his most successful: by the end of the 19th century, it is found in 15 of the 17 hymn books consulted by the authors of Lyric Studies. On a larger scale, it is found almost universally in general collections of the past century, including not only Methodist and Anglican hymn books and commercial and ecumenical collections, but also hymnals published by Reformed, Presbyterian, Baptist, Brethren, Seventh-day Adventist, Lutheran, Congregationalist, Pentecostal, and Roman Catholic traditions, among others including the Churches of Christ. Specifically, it appears in 1,328 of the North American hymnals indexed by the online Dictionary of North American Hymnology, comparable to Newton's "Amazing Grace" (1,036), Wesley's "O for a Thousand Tongues" (1,249), and Watts' "When I Survey the Wondrous Cross" (1,483), though still well short of Toplady's "Rock of Ages" (2,139) or Wesley's own "Jesu, Lover of my Soul" (2,164). "Old 100th" or "Old Hundredth" is a hymn tune in Long Metre from Pseaumes Octante Trois de David (1551) and is one of the best known melodies in all Christian musical traditions. The tune is usually attributed to the French composer Louis Bourgeois. "Hark! The Herald Angels Sing" is a Christmas carol that first appeared in 1739 in the collection Hymns and Sacred Poems. Its lyrics had been written by Charles Wesley. Wesley had requested and received slow and solemn music for his lyrics, not the joyful tune expected today. Moreover, Wesley's original opening couplet is "Hark! how all the welkin rings / Glory to the King of Kings". "The Spirit of God Like a Fire Is Burning" is a hymn of the Latter Day Saint movement. It was written by W. W. Phelps, one of the most prolific hymnwriters of early Mormonism. "Christ the Lord Is Risen Today" is a Christian hymn associated with Easter. Most of the stanzas were written by Charles Wesley, and the hymn appeared under the title "Hymn for Easter Day" in Hymns and Sacred Poems by Charles and John Wesley in 1739. The hymn eventually became well known for its repetitive "Alleluias" sung after each line, which were added by an unknown author to fit the commonly used hymn tune of "Easter Day". It remains a traditional processional hymn on Easter Sunday. Johann Sebastian Bach composed the church cantata Wär Gott nicht mit uns diese Zeit, BWV 14, in Leipzig in 1735 for the fourth Sunday after Epiphany and first performed it on 30 January 1735, a few weeks after his Christmas Oratorio. The cantata, in Bach's chorale cantata format, is based on Martin Luther's hymn "Wär Gott nicht mit uns diese Zeit". Its text paraphrases Psalm 124, focussing on the thought that the believers' life depends on God's help and is lost without it. 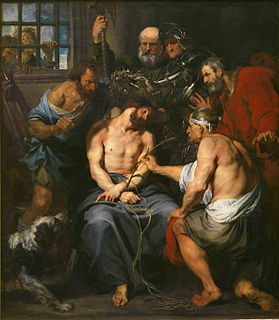 "O Sacred Head, Now Wounded" is a Christian Passion hymn based on a Latin text written during the Middle Ages. Paul Gerhardt wrote a German version which is known by its incipit, "O Haupt voll Blut und Wunden". "God, the Omnipotent!" is a hymn with words written in 1842 by Henry F. Chorley (1808–1872) and 3rd and 4th stanzas by John Ellerton (1826–1893) in 1870. It is based on a text from Revelation 19:6, "The Lord God omnipotent reigneth" (KJV). Set in 11.10.11.9 meter, the tune is from the 19th century Russian national anthem, God Save The Tsar!, composed by Alexei Lvov (1798–1870) in 1833. "Come, Thou Long Expected Jesus" is a 1744 Advent and Christmas carol common in Protestant hymnals. The text was written by Charles Wesley. It is performed to one of several tunes, including "Stuttgart" and "Hyfrydol". It is hymn number 66 in the Episcopal Church hymnal ; hymn number 196 in the United Methodist Hymnal ; hymns 1 and 2 in the 1990 Presbyterian Hymnal; and hymn 254 in Evangelical Lutheran Worship, among others. The hymn is considered an enduring classic in Christian hymnology. "Was willst du dich betrüben" is a hymn in seven stanzas by the German Baroque poet, Lutheran minister and hymn-writer Johann Heermann. The chorale was first published in 1630 during the Thirty Years' War. It is focused on trust in God, even when facing adversaries. "O Mensch, bewein dein Sünde groß" is a Lutheran Passion hymn with a text written by Sebald Heyden in 1530. The author reflects the Passion, based on the Four Evangelists, originally in 23 stanzas. The lyrics were written for an older melody, "Es sind doch selig alle, die im rechten Glauben wandeln". 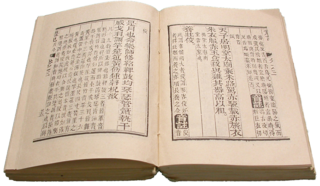 The first and last stanzas have appeared in 11 hymnals. Catherine Winkworth translated it as "O man, thy grievous sin bemoan". The hymn has been used in Passion music and is known in Bach's setting as a chorale fantasia closing Part I of his St Matthew Passion. "Es woll uns Gott genädig sein" is a Lutheran hymn, with words written by Martin Luther based on the Psalm 67. The hymn in three stanzas of nine lines each was first published in Wittenberg in 1524. The hymn, with a tune by Matthias Greitter, was set to music by composers including Heinrich Schütz and Johann Sebastian Bach. It was translated to English and has appeared in 25 hymnals. ↑ "apmn - Donrita Reefman". Apmn.org.au. Retrieved 28 July 2018. ↑ Parker, WG. "An Historical link with 1941 – World War II". Archived from the original on 22 August 2011. Retrieved 17 August 2008. ↑ Cobain, Ian (27 June 2017). "Troubled past: the paramilitary connection that still haunts the DUP". theguardian.com . Retrieved 27 June 2017. ↑ Some versions substitute "under" with "beneath". ↑ hymnary.org Lutheran hymnal 1814 has "while life shall last"